A wine with a full and intense red colour and divine ripe berries and hints of Cigar Box on the nose. 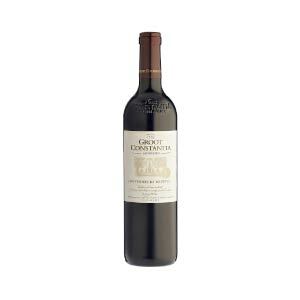 Categories: Groot Constantia Wine Estate, Red Wine. Wine Tasting notes : A wine with a full and intense red colour and divine ripe berries and hints of Cigar Box on the nose. These rich flavours flow through on the palate with black pepper spices coming through on the after taste and lots of good tannin structure which will allow good maturation potential. The wine matured for 15 months in 225 litre French oak barrels. Roast leg of Springbok studded with bacon, or rare roast beef with a wedge of Yorkshire pudding .